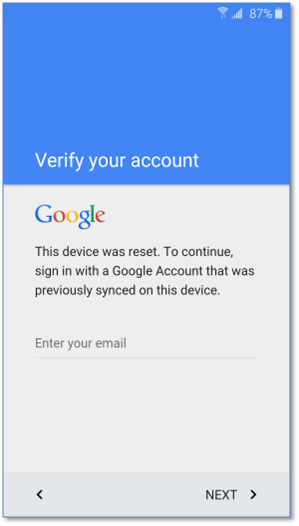 Unlock, unlink from Google Account, Unlock FRP, Samsung Exynos unlock, Unlock google account, unlock. Turn off your smartphone. Remove the SIM card from it, Flash card. After completely turning off your gadget, simultaneously hold the volume down button (Volume Down) + HOME button + Power ON button. At you now all three buttons are simultaneously clamped. As soon as a warning appears on the screen with a yellow exclamation mark (as in the photo below - Figure 1), you immediately release all three buttons. Now briefly press the volume up button (Volume UP or VOL +) - the sound button up. 3.Connect it to your computer via USB cable. Download the archive where the drivers and unlocking software from Samsung are located and, without opening it, just transfer it to the desktop - https://yadi.sk/d/NHxX0Ymk3S5CUm! 5. Run the program AA_v3.exe from the archive and write us your ID - this is the ID you need to write in the form that appears after payment of this product. So you also need to specify your email - which will come in more detailed instructions on the unlock.